We have introduced several free math apps as teaching tools before. Today we have another free math app to share: Number Pieces. It visualizes the Base 10 concept on the iPad. It is a great teaching and practice tool for home and school. We used Base10 at home a lot. 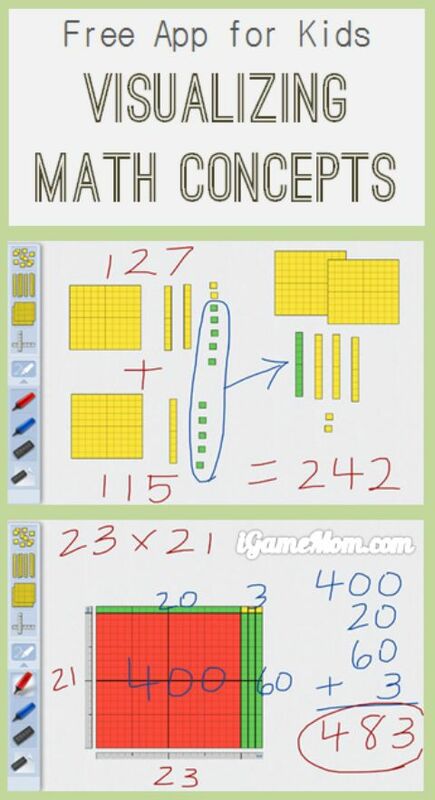 I loved using it with my child to explain the number concepts. The app is similar to the real model. When you open the app, you will see a 100 board that is a square with 10 rows of rods made of 10 little squares each. You will also see the rods of 10, and those little squares. To show kids the number of 123, you can pick 1 big square of 100, 2 rods of 10, and 3 little squares. It is a great help for kids to see how the numbers shown in real quantity and how different units are related. I like the grouping/breaking feature in the app. If you circle a group of squares or rods, those loose units will form into bigger units. If you have 10 rods, they will become a big square of 100; if you have 10 small squares, they will become a rod of 10 units. You can also reverse the grouping process too. You can break a big 100 board into rods, or rods into small square units. These make teaching re-grouping in addition and subtraction easy to understand. There is a ruler in the app, so you can show kids how many units they have by lining the units up against the ruler. There are pens in the app too, one blue, one red. Kids can write notes, draw, or write numerical numbers next to the base10 units. Number Pieces is a great teaching tool. It is Free on App Store. 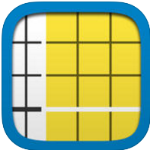 There is another app Number Pieces Basic is also free, with less features than Number Pieces. Below the first App Store link is for Number Pieces, and the 2nd is for Number Pieces Basic. If you are looking for more math apps for kids, check out our 45 Math Game Apps for Kids – grouped by Age and Learning Objectives. For more math resources, check out Best Math Learning Tools for Kids. We use the Math U See curriculum so these base ten blocks are very familiar. I not really an App kind of mama but we must look up this one! Thanks for the link! We used based ten a lot, so I was really excited to find the app.